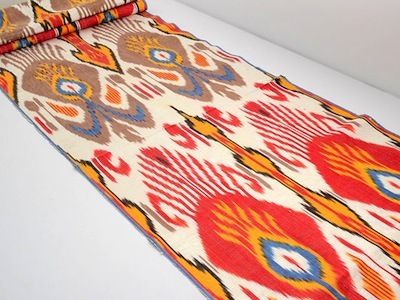 great source: silk way shop on etsy. 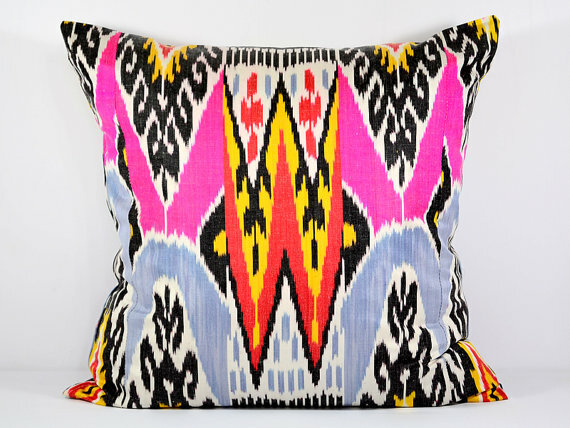 silk/cotton blend ikat fabric and pillows. incredible prices. their yardage is only 16” wide, so would be great across the end of a bed or on the back of a chair for a sharp stripe of color & pattern. fantastic prices! Posted on January 6, 2014 by adhocdecor. This entry was tagged sourced. Bookmark the permalink.